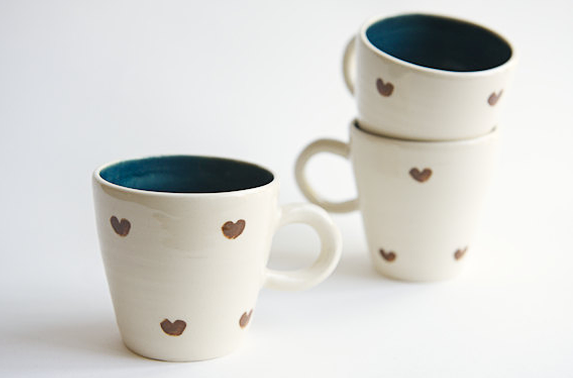 I know that Valentine’s Day has gone and you probably are overdosed with hearts, but I’m sure that you will love the cute ceramic that I will show you now. 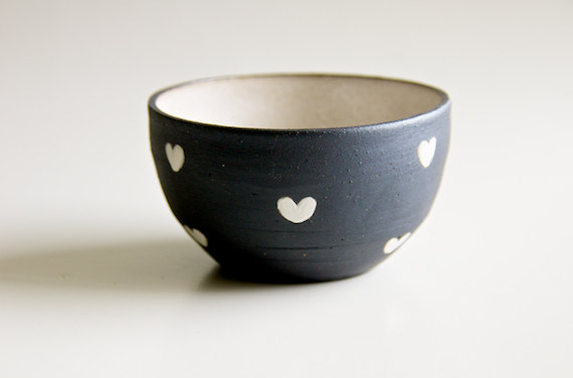 Ross * Lab is a studio in San Jose, California, their products are entirely made by hand from clay and pottery wheel, with lots of love and attention to the details. Зная, че Св. Валентин отмина и сигурно покрай него сте предозирали със сърчица, но тази сладурска керамика съм сигурна, че много ще ви хареса. Ross*Lab e студио от Сан Хосе, Калифорния, чиито продукти са изцяло направени на ръка, от глина и с грънчарско колело, с много любов и внимание, към детайла. 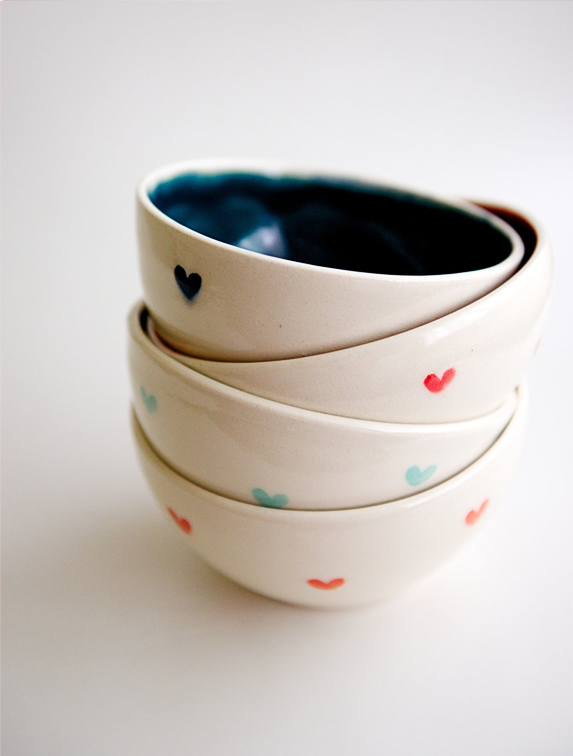 You found my weakness…adorable bowls with adorable hearts! =) I'll have to check these out!!! Those are adorable! Actually, I think I appreciate little hearts a little more post-Valentine's Day. 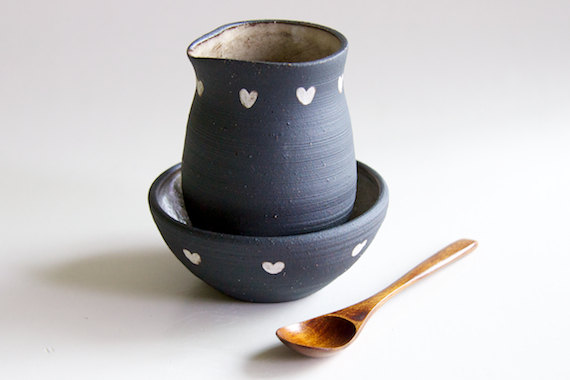 Love the black ones, they are favorite in my Etsy ! I love it! Hearts are everywhere suddenly and is not because Valentines day! those really are very cute!